The Christmas season is in full swing as Christians everywhere prepare to celebrate the birth of our Savior with advent preparations and family traditions. In recent decades, the left has worked to wipe every reference to the Christian foundation of Christmas from this blessed season of peace and goodwill. With help from the media and liberal public agencies, we’re encouraged – really, forced — to say “Happy Holidays,” attend “winter festivals,” and make our celebrations secular rather than focused on the birth of the Christ Child. But there is good news! You don’t have to fear the bullying tactics of the liberal left this Christmas. This is the most important celebration of the year for Christians and our rights are clear. Life Site News recently reported on portions of an annual report released by the Pacific Justice Institute. The report is updated each year to keep Christians informed about our rights in regard to Christmas displays, celebrations, and community events. As parents, we most often see traditional Christmas celebrations discouraged – if not forbidden – in our children’s public schools. You will be hard-pressed these days to find the decorations and Christmas parties that most of us had in our classrooms as children. But are schools avoiding Christmas because it’s the law, or because they’ve been bullied into adopting a progressive agenda that wants to remove Christianity from schools? In fact, PJI says there is absolutely no constitutional or legal precedent that can force kids and parents from referring to Christmas in school. There is zero constitutional authority for the notion that we have to use euphemisms like “winter break” to avoid the reality that Christmas continues to be the most important celebration in the United States, and for that matter, for much of the history of Western Civilization. And why have most schools cut Christian Christmas carols from holiday programs? Well, it appears again to be a preference by the particular school district in not wanting to “offend” anyone who is not Christian in an effort to be politically correct. But there is no legality preventing schools from including traditional Christian Christmas carols in school programs. A number of federal appellate courts have also held that songs with religious content [like traditional Christmas carols] may be sung both in class and at school programs, as part of introducing students to a variety of cultures and beliefs. My child’s school does not allow teachers to display Christmas trees. Is there a legal basis for this? In the last few years, we’ve heard that Christmas trees are somehow “religious” and thus must be excluded, renamed, or diluted in public spaces. Not true. In the Supreme Court’s landmark Lynch v. Donnelly case, the Court’s analysis of the city’s holiday display regarded the tree as being a secular symbol. More recent claims to the contrary by secularists do not change reality. Although Christmas trees and greenery were adopted by early Christians as part of our celebrations, they have somehow become a secular symbol in the eyes of many. 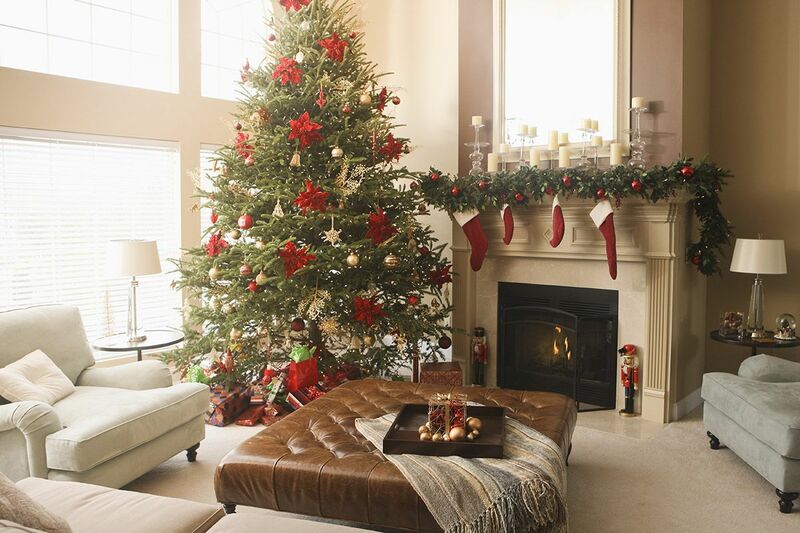 Because of their historic use by Christians, many on the left have banned Christmas trees as a religious symbol. But according to the law, there is no precedent set that prevents schools or public businesses from putting up Christmas trees. Can my child give their teacher or another student a Christmas gift or card with religious content? The answer is, absolutely! There have been several court cases involving schoolchildren giving each other Christmas gifts with Christian messages. Most courts considering the issue have recognized the right for student expression, including gifts, not to be censored based on religious content. Gifts and cards that express our views are protected by our First Amendment rights, and therefore, no one in school administration can prevent parents from sending in Christian-themed gifts or cards to school. Most school districts try to prevent kids from bringing class gifts with references to Jesus, but local laws often hold that as long as the gifts are not sponsored by the school, they are a part of our right to freedom of expression. Many of the same false “rules” that affect our public schools also influence how we can express ourselves at our workplace at Christmas. While many employers may want to avoid putting up a Christmas tree or referring to Christmas instead of the “holidays,” it is again based on a desire for political correctness rather than the law. The only exception may be if you work for a government or local agency in which your office is visited by the public. In some cases, employees are not able to display Bibles or references to Jesus in public view because there are laws pertaining to federal and state support of a particular religion. If your desk is not visible to the public or visiting clients, however, you are within your constitutional rights to display Christian Christmas messages or symbols. And what about displaying Nativity scenes, crosses, or Christian messages in a public place for an event put on by your local church or Christian community organization? Well, while you may have to apply for a special permit or otherwise jump through some bureaucratic hoops, local governments cannot discriminate by preventing Christians from putting up public displays. The flip side of this is that any religious group may also place displays in public, which is why we often see a Nativity scene alongside a menorah in a public park. Your church has the right to be treated equally and not discriminated against on account of its faith. In some cases, this may require local government to include the church. There have been cases, however, where atheists or groups opposed to any sort of religious expression have fought in court to prevent anyone from expressing their religious views in public. Sometimes this has resulted in a ban on any type of public religious display in order not to “offend” anyone else. This is rare, however, as long as states and localities are treating all religions in the same manner in regard to public expression. And, of course, if your church or organization’s headquarters is on private property, you can display whatever Christian Christmas messages or symbols you like! Pacific Justice Institute’s “Christmas Q&A” is available in its entirety online and is updated each year as laws change and cases are heard by the courts. But the bottom line is, most of the time when you are told you must resort to generic wishes of “Happy Holidays” or you can’t bring “Happy Birthday, Jesus” cards to your child’s classmates, there is nothing legally preventing you from doing so. Schools, organizations, and even some churches have been scared off by the left’s bullying tactics and calls for “political correctness” so that no one dares be offended by our Christian beliefs and history. So this year, celebrate the birth of our Lord and Savior by saying, “Merry Christmas” to anyone you like and don’t let the left put a damper your celebrations! What do you think of the attempts of public schools and other organizations to hide the meaning of Christmas under the banner of a generic “winter” celebration? Have you ever run into a problem displaying a Christian message or symbol at your workplace or your child’s school this time of year? Leave us your comments.